Sheffield Doc/Fest has announced some of the headline names who will be attending this June’s event. 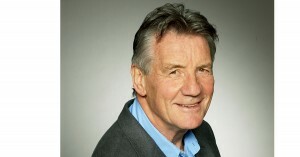 Michael Palin will be appearing alongside Monty Python - The Meaning of Live co-directors, Roger Graef and James Rogan for a Q&A session after its screening. Last year Rogan and Graef had unprecedented access to the surviving Pythons as they reformed for their first live show in 34 years. The documentary goes behind-the-scenes as they returned to the stage. Tickets are also available for Meet The Makers: The Revolution Will Be Televised as Jolyon Rubinstein, Heydon Prowse and Joe Wade talk about their Bafta-winning satirical series. Also speaking at the festival are Davina McCall and Nicky Campbell, stars of ITV documentary series Long Lost Family. With the programme seeking to reunite relatives after years apart, the pair will discuss the emotionally charged series. Doc/Fest runs for 6 days between June 5th and 10th at venues across Sheffield.